Advanced stain removal technology. 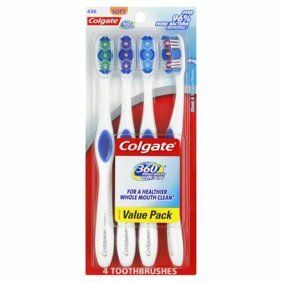 Uses: StaiNo dual-effect toothbrush bristles are designed to remove stains and plaque between, behind and all around your teeth. Embossed filaments effectively remove stains and last up to 50% longer than ordinary nylon filaments. Power Tuft - Concentrated bristles to reach around back teeth and between teeth for more effective stain and plaque removal. Sanitary protective cap.